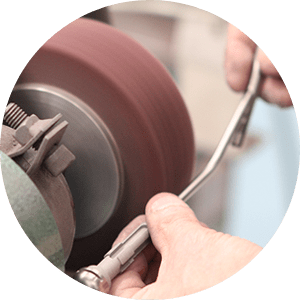 With a wide-range of equipment and decades of experience, we’ve the metal finishing services known for their quality and precision. Whether you’re looking to finish metal or composite material, you’ve come to the right place. Unity has the ability to complete many finishing processes in house. For those finishing processes that we don’t currently have in house, we partner with a trusted group of suppliers who perform tumbling, assorted plating, and laser welding services, among others, to help get your job done. Unity has Heat Treating and Harness testing as validated processes. Get the metal finishing services you can trust, call us at 763-428-9888 or request a quote.